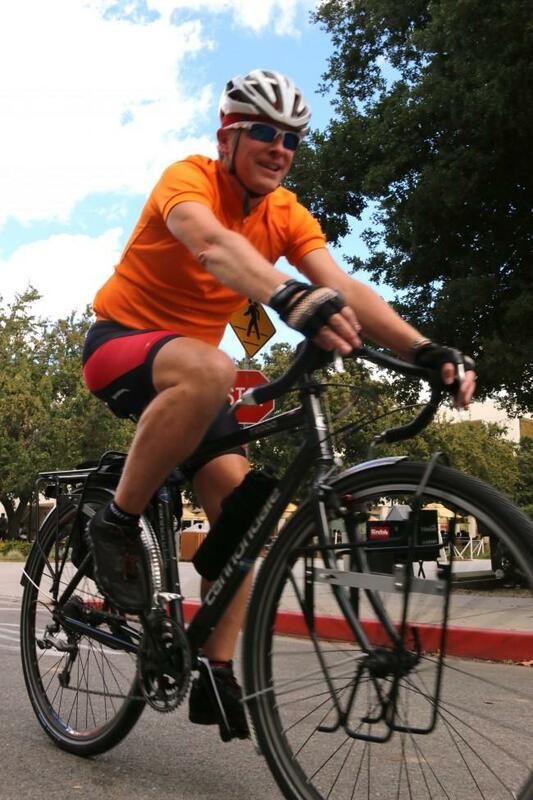 Claude Willey, 47, belongs to the 1 percent of those who have made cycling their primary mode of transportation in Los Angeles, a city where there are more than 6 million motor vehicles commuting daily. 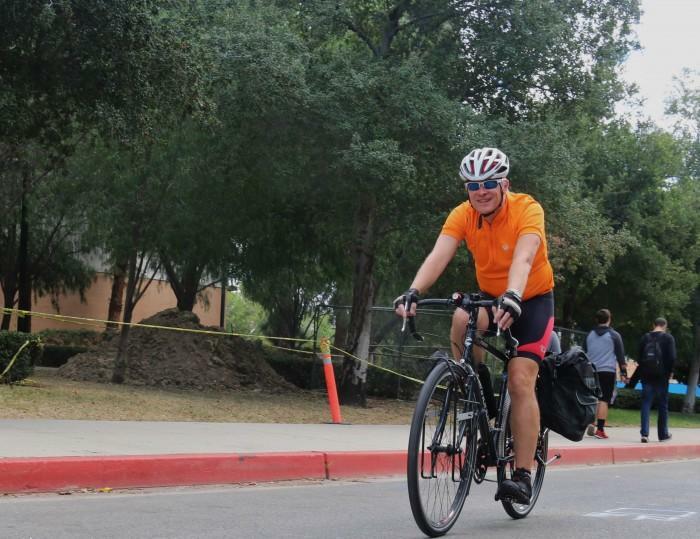 He rides a 25-mile route twice a week that takes him two hours and 25 minutes from Pasadena to CSUN. This decision was mainly motivated by his concern about the environment, but also saves him money all while getting a free workout. “It is an unusual way of life,” said Willey. 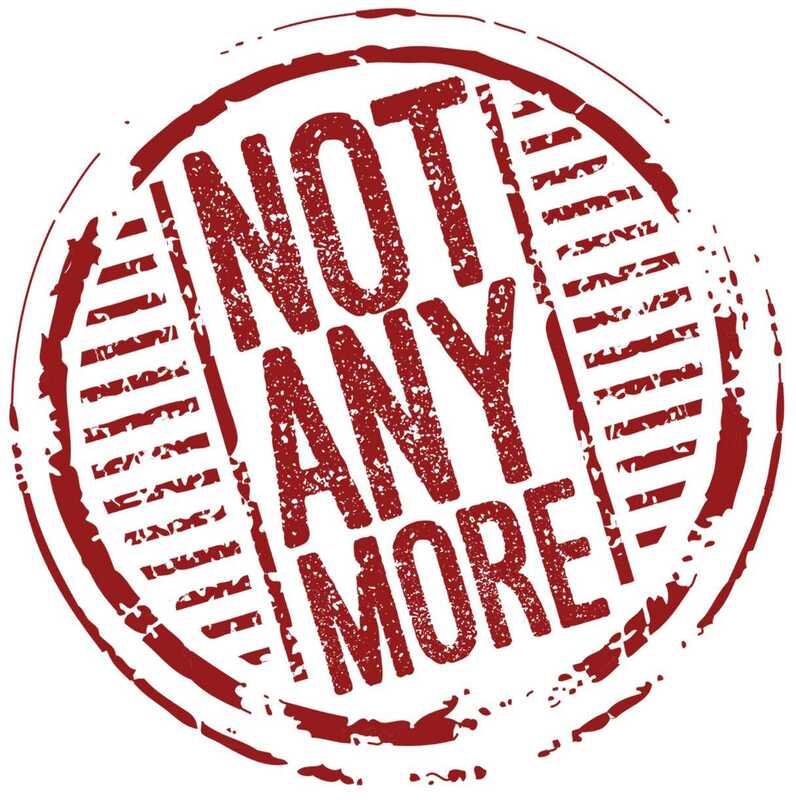 He started cycling when he moved from Delaware to Chicago during the 1990s where it was not only expensive to own a vehicle, but tiring to deal with the logistical aspects after buying one, such as finding parking, insurance, oil changes, maintenance and, of course, gas. Willey noticed that people living in dense urban areas mostly walk only when walking towards their vehicles. He cycles twice a week from Pasadena to Northridge, but also around Pasadena where his daily life takes place. Having a bike as his transportation system is a trade-off because although it is quite time consuming, it gives him all sorts of health benefits, providing a personal sense of freedom, fitness and enjoyment. On the other hand, he easily adapts to the climate changes by using transportation when the days are too hot or during rainy days. In this aspect, he also supports the ecosystem through the use of public transportation. Willey earned a Master of Fine Arts in University of California, Irvine. He is a part-time lecturer at three different institutions: Woodbury University, Art Center of Design and, of course, CSUN. At the same time, he is well-known by his community and his students who, through his classes, have become aware that every decision big or small adds up. In 2006, Willey was hit by a car pulling out of a gas station. 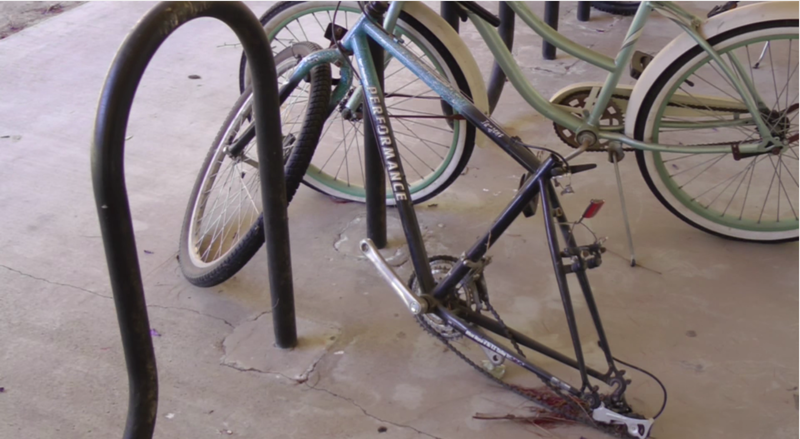 He was left with a scrape on his leg and his bicycle pannier was torn. He could be portrayed as one of the 60,000 people who travel to work on two wheels only moving forward by the strength of his legs. The other 5,940,000 belong to those who move with greater comfort, over four wheels and with fuel that they pay for high prices and that of course, increases enormously air pollution. He is currently working beside Californians for Population Stabilization overlooking the issues of overpopulation.